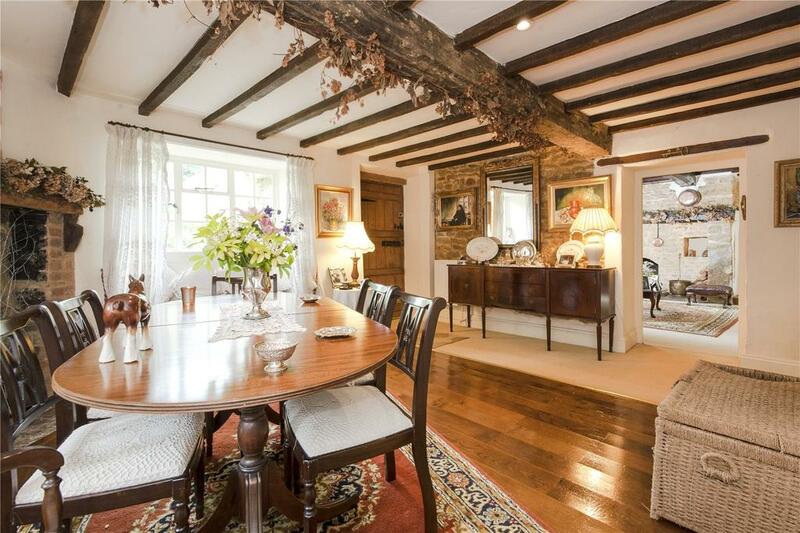 With cosy overhead beams and oak floors, Grade II listed Christmas Cottage is on the market via Savills for £575,000. 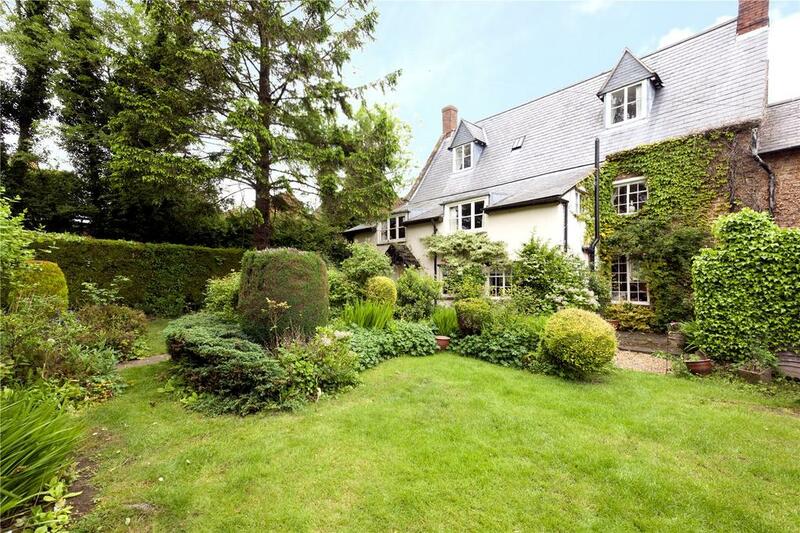 Built of Horton Stone under a Welsh-slate roof, this four-bedroom home is in the charming village of Chipping Warden, on the Northamptonshire-Oxfordshire border around seven miles from Banbury. The whole place is full of charm with beamed ceilings and an original tiled floor in the kitchen – a space which has been beautifully re-done to make the most of the original features. 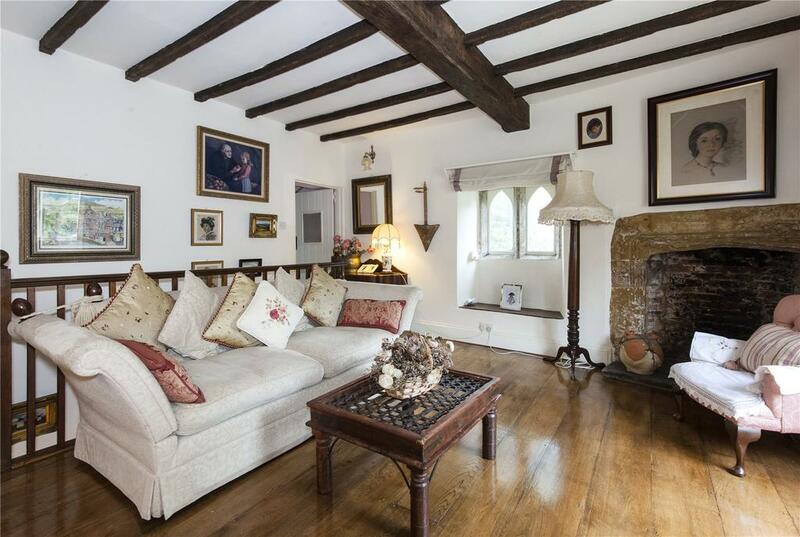 Upstairs there is a particular treat in the form of a first floor landing so large as to act as a second sitting room, with space for a large sofa and armchair – the old stone fireplace, beams and delightful windows make this seem like the perfect snug space to curl up with a book. There are four bedrooms in all, two on the first floor and two more on the second floor. 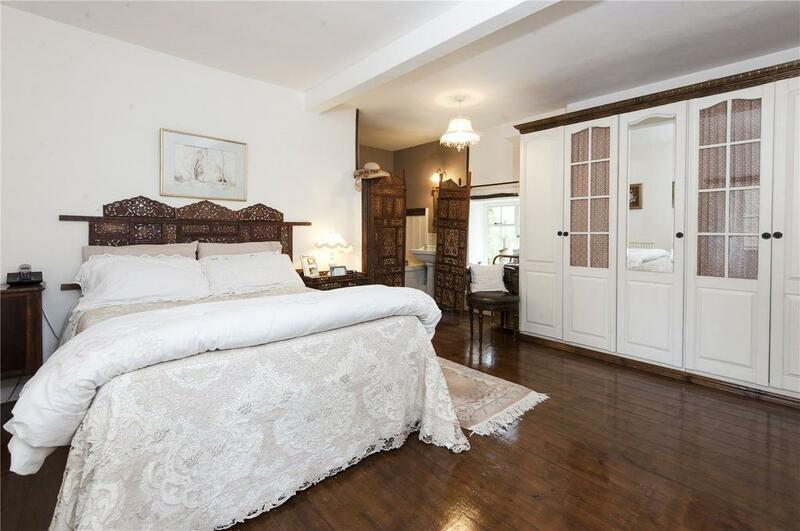 The master bedroom has an unusual touch: an en-suite in the corner of the room, separated only by an Indian screen. It gives a little touch of the bath-in-the-bedroom look much favoured by hotels these days. 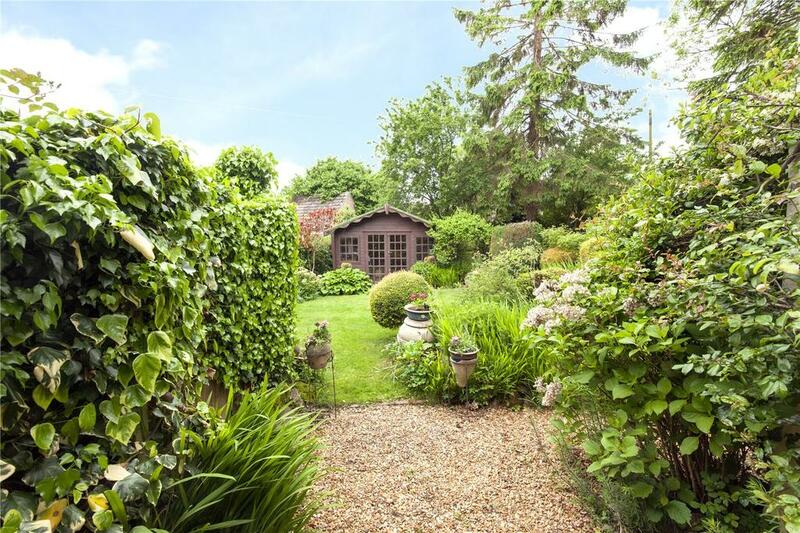 The cottage garden is delightfully private, with trees, hedges and shrubs creating a secluded little space with all sorts of nooks and crannies – we can imagine young children playing and exploring happily all summer long. There is also a timber-framed summer house at the end of the garden; at the moment one of the bedrooms is used as a study but this could easily be converted as a garden office. 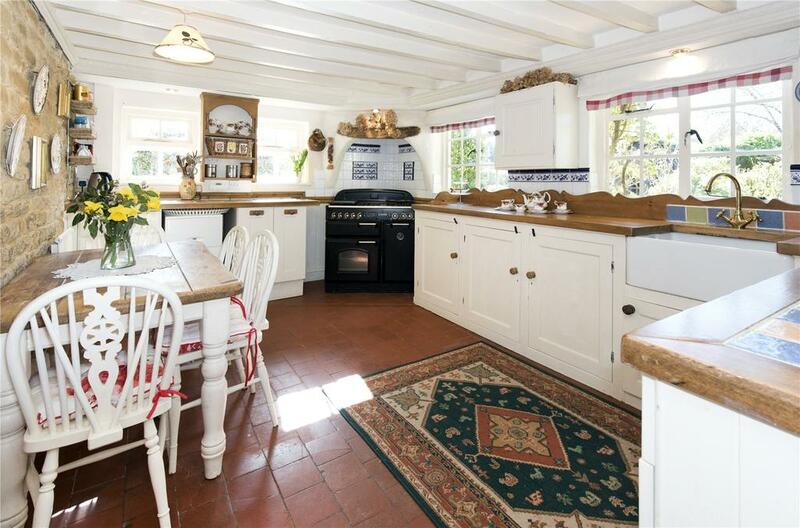 Christmas Cottage is for sale via Savills at £575,000 – see more pictures and details.